Saturday September 17, 2016 at 5 PM. This show is a fundraiser for the Zafer Julian Estill Memorial Fund @ AbundanceNC, which honors a young life gone too soon. AbundanceNC brings people together to cultivate and celebrate community resilience in the Piedmont of North Carolina. Come listen and dance for the cause. $10-15 suggested donation, but no one turned away for lack of funds. Performers: Erich, Pablo Valencia, Robert Cantrell and Jeff Brown. Donate and reserve your spot here! King Sunny Adé was born into the royal family of Ondo, in Nigeria, and shocked his parents by embarking on a career in music. But it was a decision that made him a superstar in his homeland and took a style of Nigerian social music known as juju to worldwide acclaim. The legendary band leader, composer, and guitarist helped pave the way for many of the great Afro-pop bands of our times, including past NCMA standouts Youssou N’Dour, Salif Keita, Baaba Maal, and the Mahotella Queens. Adé has been a bold innovator, adding guitars, percussion, keyboards, synthesizer, and even Hawaiian-style pedal steel to create a “gently hypnotic, polyrhythmic mesh of burbling guitars, sweet harmony vocals, swooping Hawaiian guitar, and throbbing talking drums” (Rolling Stone). Don’t miss a rare opportunity to dance the night away with one of Africa’s all-time musical greats along with 20 master musicians and percussionists. Dancing encouraged in front of stage. The music of Zansa (a Nouchi slang word from Ivory Coast meaning “combination” or “blend”) is a synthesis of traditional and modern styles of West Africa. 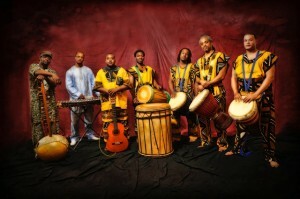 The Asheville-based ensemble melds modern afropop with African folk music, African drumming, and the fiery dance-oriented Ivorian street music called Zouglou. 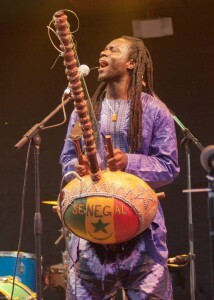 Zansa is led by 33rd generation West African musician Adama Dembele, whose family lineage is recognized internationally as “Djembeso” or House of the Djembe. With Zansa, he has continued to develop and expand his sound, now singing in French, Baoule, Bambara, and English, creating a multicultural mix of original songs, traditional stories, and impassioned music. 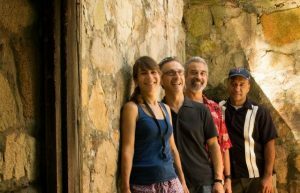 This final night of the “Find Your Cool” Summer Concert Series is made possible in part by Friends of World Music. Khalat Africa featuring Diali Cissokho closes out Downtown Durham’s “Find Your Cool” concert series next Thursday at CCB Plaza. The show starts at 7 PM. 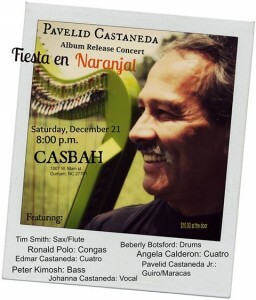 Don’t miss this outstanding opportunity to see a FREE show of some of West Africa’s finest music, right here in the Triangle! 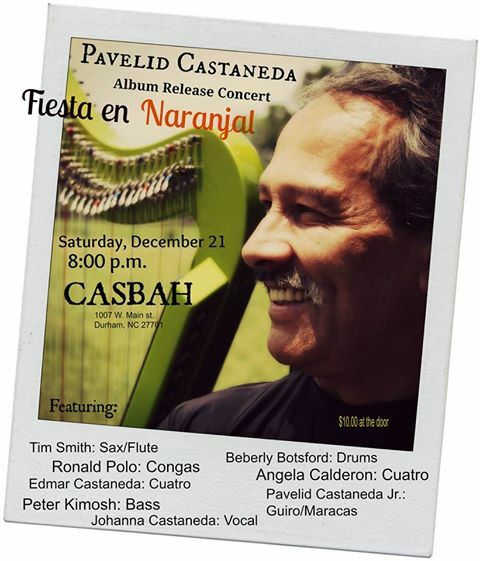 Orquesta GarDel plays Downtown Durham Inc.’s “Find Your Cool” concert series Thursday, June 27 from 7-8:30 p.m.
Don’t miss this free, unforgettable show, sponsored by Friends of World Music! 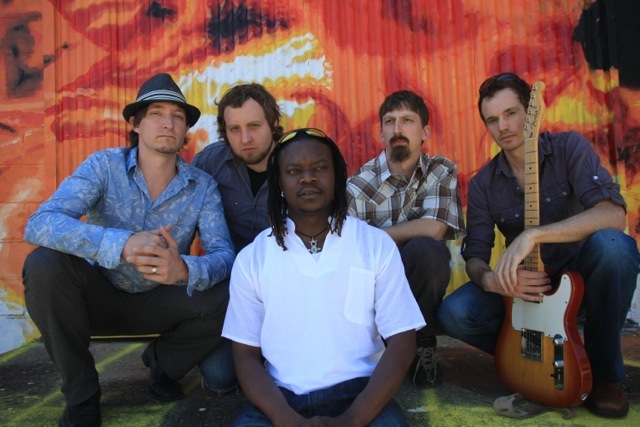 Downtown Durham Inc. will launch its free “Find Your Cool” Summer Concert Series at CCB Plaza, Thursday, May 9, 7 p.m. From soul to salsa, African to Americana, “the plaza with the bronze bull” will be bustling with local bands, locally-brewed beer from Bull City Burger and Brewery and people of all ages, ready to start the weekend a day early. Twenty years ago, when Downtown Durham Inc. was a young organization, formed to serve as a catalyst for downtown revitalization, an after-work concert series was one of its first projects to revive the city center. Today, Durham is “America’s #1 Creative Class Metro” according to The Atlantic. “Downtown Durham is thriving with new restaurants, bakeries, shops and venues opening every month. I’m thrilled DDI is bringing back a regular music series, and honored, as a long-time Durham resident and fan, to be a part of it all” says Downtown Durham Inc. Special Events Coordinator and series organizer Tess Mangum Ocaña. Please join the Ancient Order of Hibernians and friends as we gather in Downtown Raleigh’s Moore Square on Saturday – September 29th from 11am – 7pm as we bring a wee “Taste of Ireland” to the heart of Raleigh. This Raleigh Irish Fest will be a day of traditional Irish music with special guests from Ireland, a host of local Irish musicians, champion Irish Dancers and the skirl of Raleigh’s favorite pipe band Wake & District. via Raleigh Irish & Music Fest – Home. NOTE: Clicking on the link will cause loud bagpipe music to begin playing!